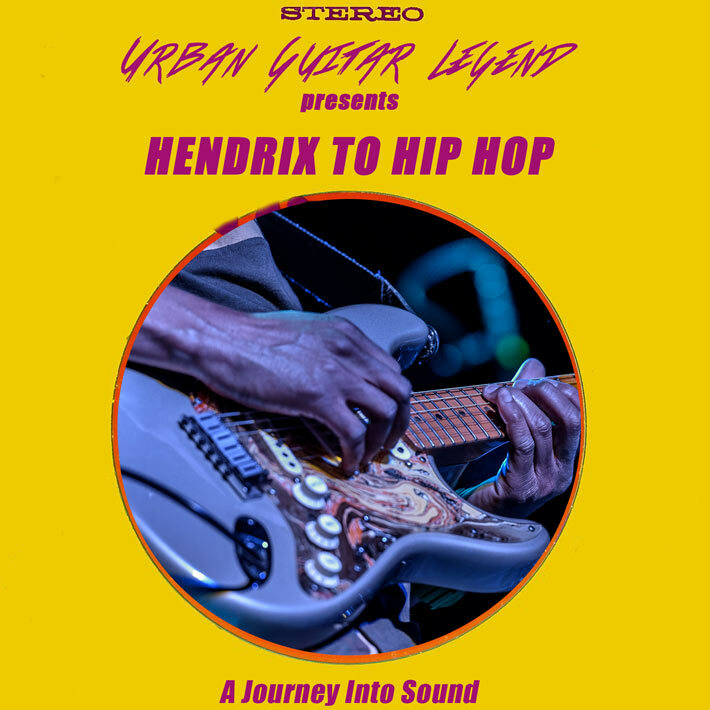 “HENDRIX TO HIP HOP” chronicles the evolution of blues, jazz, rock and into hip hop through the lens of guitarist Elliot Holden aka URBAN GUITAR LEGEND. Think of what T-bone Walker would sound like if he were produced by Dr. Dre today. What would Mozart have created had he had access to modern tools such as a computer and Ableton Live? “Hendrix to Hip Hop” is as much an educational journey as it is a musical one by aiming to bridge the gap between modern music’s roots and the genre that has evolved to be the driving force behind to today’s popular rhythm. With a modern psychedelic light backdrop and Holden’s enigmatic stage presence the show will take the listener on a musical journey combining past, present and future. Augmented by two of the best musicians on the planet, drummer Court Tatum and bassist Wilgens Piere, this trio fills the appetite of those yearning for a new sound that is sonically as well as visually stimulating.